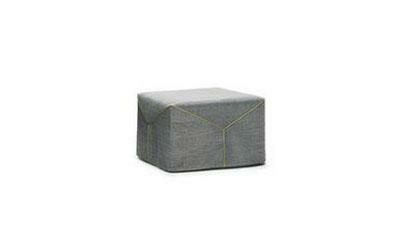 With a simple movement the pouf Ghisallo turns into a very comfortable bed. Choose the cover and add it to your cart. Do you need some help? Do not hesitate to talk to us. We are please to assist you in answering all your questions. The Ghisallo pouf bed stylishly furnishes any environment, from classic to contemporary. 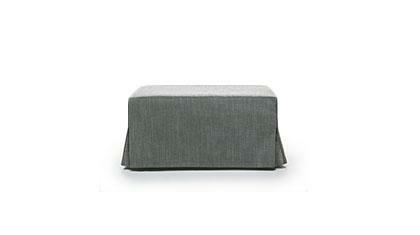 The soft cover removes easily, allowing the pouf to be unfolded and turned into a single bed. 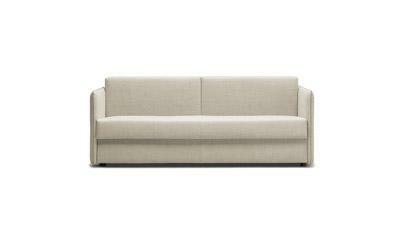 The bed base is electro-welded and very sturdy, with a single foam mattress, a good night’s rest is guaranteed. Thanks to the revolving wheels, Ghisallo is also very easy to move from one room to another, when an unexpected guest arrives the Ghisallo pouf, often used during the day as a table, a footrest or additional seating in the living room, transforms from day to night into a practical bed for your guests. Buying Ghisallo online at the Berto Shop is easy: choose the cover in the color of your choice, add it to your cart and confirm delivery details: if you have any questions or need advice from our interior designers, please "Talk to us", we are more than happy to help.